In our previous article, Dragon Boat Festival Part 1, you discovered all the customs around the Dragon Boat Festival, from the food typically eaten during that day to the origins of the boat races. In this Part 2, you’ll discover the cities that are the most well-known for their Dragon Boat Festival in the world. Therefore, you won’t miss this amazing event! All you need is a map and choose the city that is the closest to your home! First things first, let’s start with the cities in China that have the most amazing Dragon Boat Festival! 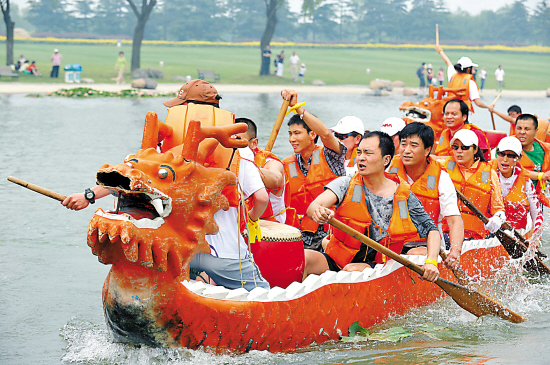 The Dragon Boat Festival is all about boat races. Some races are exceptional! Athletes compete to win the race while Chinese drums are beating. The atmosphere and show are the reasons why you must attend at least one Dragon boat race in your life! These 4 cities have the most amazing boat races in China according to visitors and spectators. But China is not the only country to celebrate the Dragon Boat Festival in Asia. Let me show you other countries that are pretty good at it. The Dragon Boat Festival originates in China and became an official Chinese holiday in 2008. Influenced by China, it is now popular throughout Asia and even across the world. Countries like Canada, Japan, Korea and Singapore also make that day a day of celebration where they each have their own customs. 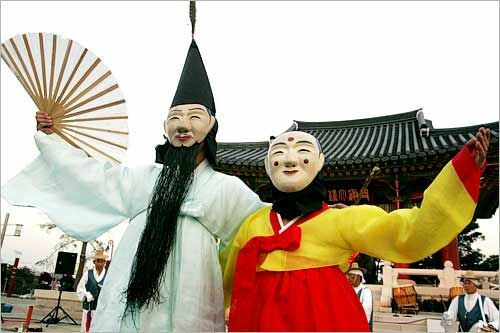 Koreans masquerade during the festival. In Japan, the festival is dedicated to the birth of children and traditionally honored boys. 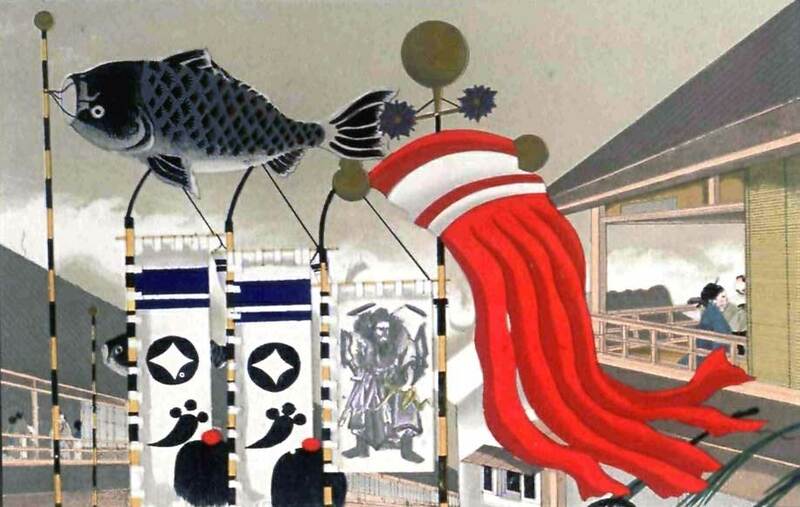 On this day, people will hang up carp flags and models of Japanese Samurai to whisper to their kids a healthy and strong growth. In Singapore, the Dragon Boat festival is celebrated pretty much like in China: first, they have boat races and they eat 粽子 zòngzi. Related: Read more about 粽子 Zongzi, the dessert traditionally eaten during the Dragon Boat Festival! But what about outside Asia? Not to fear, if you’re not in Asia, there are still plenty of places you can go to celebrate the Dragon Boat Festival. North America is well-known for its important Asian community. Therefore, you’ll find many Asian celebrations there. But still, I was surprised to find not one or two, but dozens of Dragon Boat Festival celebration both in the USA and in Canada. Let me show you the most popular places to celebrate the Dragon Boat Festival outside of Asia. The Dragon Boat Festival has also spread to the Western world and is especially popular in North America, where every opportunity to celebrate this festival is seized. If you live in North America, you’ll be happy to learn that you’re very lucky: there are plenty of cities across the USA and Canada that celebrate this festival with boat races and music shows! Here are a few good addresses you can head to celebrate the festival. Nanaimo, near Vancouver, is probably the most popular place to celebrate the Dragon Boat Festival in Canada according to spectators. Each year, the foundation Save on Foods organizes the 14th annual Nanaimo Dragon Boat Festival, from June 8th to June 10th, and all the funds raised proceed to the Nanaimo Hospital Foundation. Besides the traditional dragon boat race, many activities will take place such as the Shriners pancake breakfast, Nanaimo Farmer’s Market, a candle ceremony and Vancouver Island Brewery beer gardens. So if you live close to Vancouver and want to participate in this generous movement and have the best time of your life, don’t hesitate and head to this festival. The Canadians in Ottawa also celebrate the Dragon Boat Festival, but this year celebrations will be taking place from June 23rd to June 25th. The Ottawa Dragon Boat Festival has a special aim. This festival is launched by the Tim Horton company in order to raise funds for the local charities. On the first day of the festival, there is an opening ceremony which gathers all the Asian communities and some of their prominent Chinese members. As this festival features Chinese ancient celebrations, you’ll get to enjoy the Lion Dance troupes, drums and of course, also see the typical dragon boat race! The following days, you can attend the music festival, with singers performing on different stages but also pass by the exhibitors and artisans to buy awesome creations. The Dragon Boat Festival in Denver is one of the most popular across the USA. The festival starts on July 30th and ends on July 31st. During this event, people celebrate the Pacific Asian culture, especially China through authentic cuisine, shows like the Lion dance, drums, a marketplace of unique and hard-to-find arts and of course, the dragon boat race. On the weekend of June 11-12 2016, Boston will be hosting its 37th annual Hong Kong Dragon Boat Festival! It’s the second most popular Dragon Boat Festival in the USA. During the festival, Asian arts and crafts are displayed, Chinese food is served and later the dragon boat race starts. There are many more places to go to celebrate the Dragon Boart Festival in the US and in Canada, check out which city is the closest to you thanks to this calendar. Where else is the Dragon Boat Festival celebrated? You’ll find Dragon Boat Festival celebrations in Spain, Dubai, Ireland, Puerto Rico, Great Britain, Germany, the Philippines and more. Most of these countries don’t celebrate the Dragon Boat Festival in June, but on various dates, that can be in April, May, September or even October. So you’d better check the dates before planning to go there. To know all about the dates, head to this page. As you see, you don’t need to live in China to attend the Dragon Boat Festival! There are so many other great places in which you can this famous boat race. Check out the dates and don’t miss out on these festivals. Trust me, you’ll have a great experience. This is a good occasion to dive into the Chinese culture and to learn more about the Chinese customs and beliefs. Plus, this is also a good way to practice your Chinese! If you want to know more about the customs, the type of food the Chinese eat during the Dragon Boat Festival and more, check out the first part in our series of articles on 端午节: Dragon Boat Festival Part 1. After talking so much about the Dragon Boat Festival,we’re curious: What are your plans for the Dragon Boat Festival? Taste the 粽子and watch the dragon boat competition? And where will you be celebrating it? In all cases, we wish you guys all a Happy Dragon Festival! 端午节快乐!